Stop, before splurging on holiday gifts this year, and ask yourself if you’re going to get a far bigger tax bill than you expect next year. Or if you get a tax refund, is it likely to be smaller? 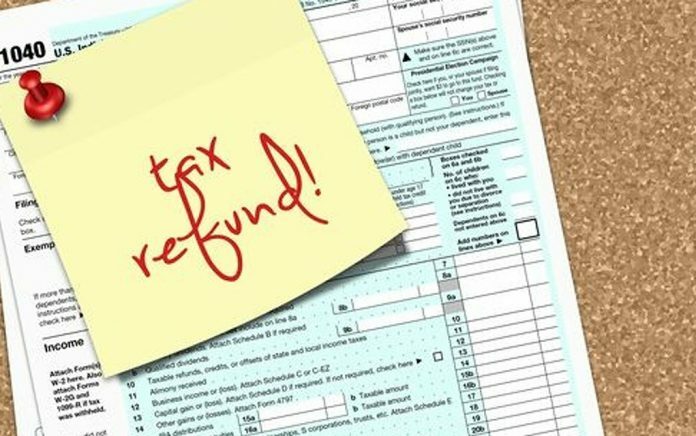 Millions of Americans won’t get their usual tax refunds next year. Thinking about your taxes now is essential, particularly since we started receiving more money in our paychecks in February because of changes in the payroll withholding tables under the new federal tax law. Jeff Jones, H&R Block president and CEO, said consumers often first start thinking about their taxes when they receive their W-2 forms early in the year. But he said tax talk is bubbling up now, given the political discussions during the midterm elections. Republican leaders are talking up the possibility of passing a 10 percent middle-class tax cut next year. President Donald Trump and Kevin Brady, R-Texas, chairman of the House Ways and Means Committee, Wednesday there was no chance of pushing through a middle-class tax cut in Congress this year. Consumers continue to wonder how the new tax rules, passed in December 2017, will affect the tax returns they file next year. Over the past year, we’ve repeatedly advised taxpayers to take time to re-evaluate their paycheck withholding. Seeing a bigger paycheck now could mean that you’re going to see a small refund — or even taxes due — on your 2018 return next year. To adjust, you can have more money withheld by tinkering with a W-4. “We know that not enough consumers have changed their W-4,” Jones said. It’s estimated, he said, that about half of H&R Block clients who receive a refund will have bigger refunds and half will have smaller refunds. In July, the Government Accountability Office issued a report that noted that the Internal Revenue Service warned taxpayers to take a look at the paycheck withholding calculator that the IRS has online. The IRS said checking your withholding can help protect against having too little tax withheld and facing an unexpected tax bill or penalty at tax time next year. About 30 million Americans — or 21 percent of taxpayers — are not withholding enough to cover the taxes dues, according to a simulation listed in the GAO report. That’s up from 18 percent if the tax laws had not changed. About 73 percent of taxpayers with wages are having too much taxes withheld and would receive a refund, based on simulations run by the Treasury Department. That’s down from 76 percent if the tax laws had not changed. Some taxpayers may be especially vulnerable to having too little withheld, given the changes in tax breaks and rules. They include two-income families; families with older dependents, including children 17 or older; and taxpayers who itemized deductions in 2017. Households with high incomes, homeowners who live in high-property tax states and those with complex tax returns are urged to take a second look at their withholding amounts, too. While it’s late in the year, it may still be possible to have more money withheld from your paycheck if you’re concerned that your refund will be smaller or you’d owe more money than in the past. Some consumers might be willing to take the money now and settle for a smaller refund or a tax bill next year. But others might depend on a bigger refund. “Do you want it in your paycheck? Or do you want it in your refund?” Jones said. Questions aren’t just centered on how the next tax changes will impact taxpayers. Wall Street analysts are wondering if tax simplification will take a bite out of H&R Block and others, too. Fewer taxpayers are expected to itemize, for example, under the Tax Cut and Jobs Act of 2017.